AC Business Media promoted Jessica Stoikes to editor of Asphalt Contractor magazine. With a reputation of engaging audiences through her writing and social media, Stoikes is responsible for creating print and digital content, as well as a captivating social media presence for the construction-focused publication. Her most successful Facebook post reached 1.7 million people and had over 2 million likes. She served as associate editor of Asphalt Contractor magazine and Pavement Maintenance & Reconstruction magazine, as well as editor of Sustainable Construction magazine. Demonstrating her talents in social media, Stoikes' posts have received a large amount of engagement. Her most successful Facebook post reached 1.7 million people and had over 2 million likes. 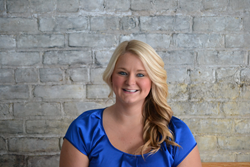 Prior to joining AC Business Media, Stoikes developed online content for Blain’s Farm & Fleet after acquiring her journalism degree from the University of Wisconsin-Whitewater. Asphalt Contractor magazine is published 10 times each year by AC Business Media. It focuses on the latest technological innovations that affect the entire life cycle of asphalt pavements – from production to paving to preservation – in every issue.